The Honda Fit has always been a little different from other small cars. A little more zing, a dash more space inside and a much smarter interior layout than most. 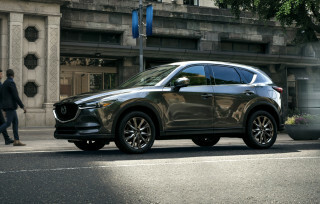 The new 2015 model looks set to continue those trends, but we'll know for sure from January as that's when the car will make its U.S. debut, at the 2014 Detroit Auto Show. Honda says the new Fit will "showcase significant advancements designed to further extend Fit's status as the benchmark vehicle in the subcompact-car class", which means further refinements to its clever interior and a new powertrain. Touted under Honda's 'Earth Dreams Technology' banner, we know this to be a new 1.5-liter gasoline four-cylinder. With a continuously-variable transmission (CVT), Honda officials predict it'll achieve 36 mpg combined in EPA-rated testing--up from the current model's 31 mpg. What it won't get is the start-stop system used in other markets to save gas in city traffic. Honda is worried the system will cause too much "acceleration lag" for U.S. drivers--that the car may not have fully completed its restarting cycle by the time the driver has mashed the gas. We're also unlikely to get the Fit Hybrid we drove out in Japan, which uses a new Honda hybrid system named intelligent-Dual Clutch Drive, or i-DCD. It's more powerful and more efficient than the current Integrated Motor Assist layout on Honda's small hybrids, but the automaker thinks U.S. buyers may not pay the extra cost for the extra MPG. The new Fit should at least have class-leading safety and an innovative, flexible passenger area, as all previous Fits have offered. 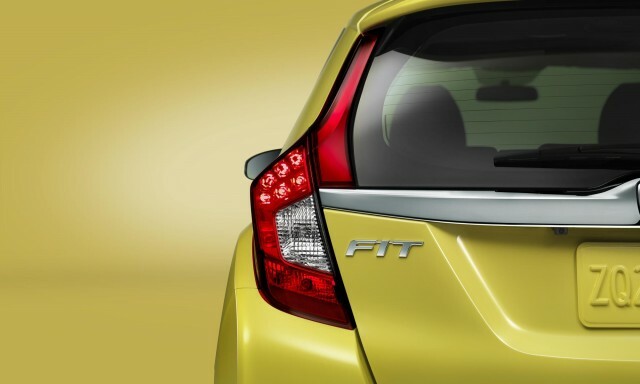 The 2015 Honda Fit will be launched at the 2014 Detroit Auto Show on January 13. Keep up with other launches from Detroit on our dedicated show hub page.